Imagine if a simple innovation suddenly allowed you to carry out an arduous – but essential – chore in a tenth of the time it would normally take and without the safety risks of working at height. 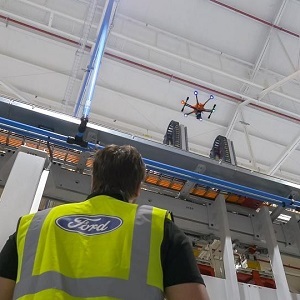 That’s been the case for Ford employees who are now using cameras mounted on drones to safely and efficiently inspect high-rise gantries, pipework and roof areas at the company’s Dagenham Engine Plant in the UK. Previously, the team carried out this important maintenance work by using automated extendable platforms and scaffolding to check 40-metre-long gantries that support the plant’s heavy machinery. Each inspection area would take a laborious 12 hours to complete. 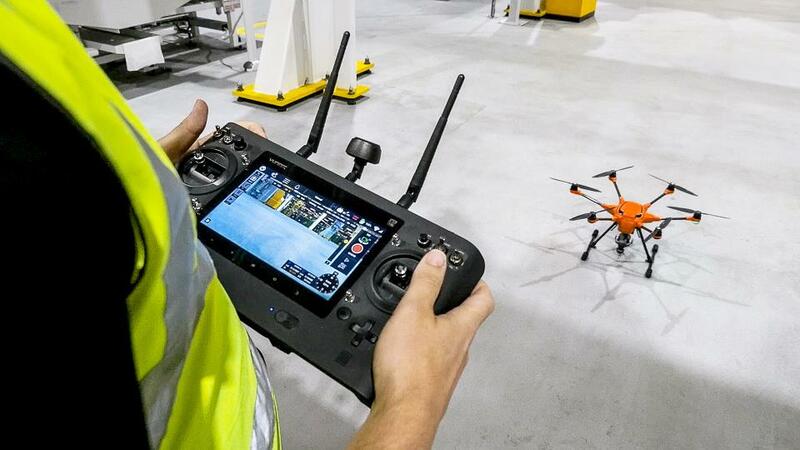 Now, with feet firmly on the ground and controlling drones equipped with GoPro cameras, maintenance staff can thoroughly inspect each area in just 12 minutes. The whole production facility can be covered in a day, zoning in on hard-to-reach areas to ensure they are well-maintained and comply to rigorous safety standards. With the time saved, the team at Dagenham can carry out more frequent inspections, without having to shut facilities to construct the scaffolding that was once necessary. Ford’s drones are also set to work inspecting pipework, locating air leaks and checking machinery. The company is now evaluating the possibility of using this high-flying technology in other regions.